1. Control: You and your spouse get to control the speed of the process. You both get to make decisions about issues and concerns surrounding your children, financial considerations, and important decisions on property. 2. Confidentiality: Mediation is private. You do not air your dirty laundry in front of a gallery of spectators and the court reporter. 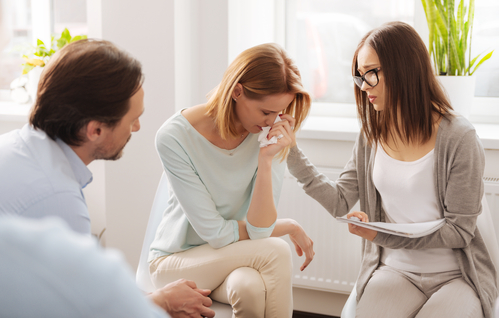 Instead, mediation takes place in a private room with a mediator who signs a confidentiality agreement with the parties. 3. Cost: The cost should be lower than going to court to battle it out. 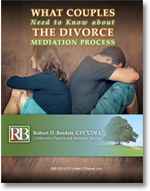 In a type of mediation called collaborative law, both parties may be represented by their own attorneys but they will split the cost of the mediator. Additionally, since you both will be meeting together, you should be able to save on the cost of the final agreement since it will be done with everyone there — as opposed to paying attorney’s fees for sending and receiving the agreement in the mail.